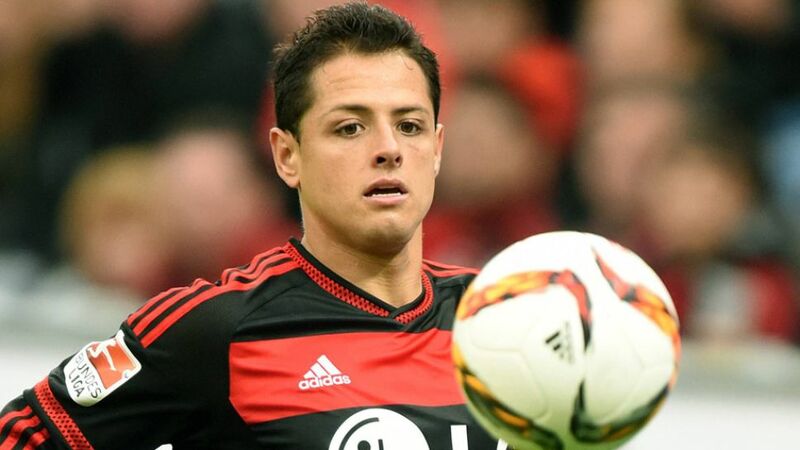 Having arrived at Bayer 04 Leverkusen at the end of August, Javier 'Chicharito' Hernandez has already made a huge impact at the club, scoring four goals in nine Bundesliga appearances to date, as well as finding the target in the UEFA Champions League and DFB Cup. Indeed, making a good first impression is something of a habit for Chicharito, as bundesliga.com discovered in an exclusive interview with Jose Luis Real Casillas, current director of youth development and former first team head coach at Chicharito's boyhood club Chivas Guadalajara. "I was lucky enough to be here when Chicharito arrived at the age of nine," said the amicable Real Casillas on a sunny morning at the Chivas ‘Verde Valle’ training complex in Zapopan in the west of Guadalajara. "Javier's dad brought him along for a trial and as soon as we saw him play he immediately passed the test. He wasn't a striker back then though; he was a No7, he played on the right wing." Yet according to Real Casillas, it was not Chicharito’s on-field attributes alone that helped him progress. "Javier is a great footballer," explained the 63-year-old. "Here our belief is that talent by itself doesn't make you a great player. Here, a great footballer is someone who is a good person, a good student, a good son to their parents, a good citizen who has been educated in an integral way. Ever since he was a child, Javier has been a good example for everyone who knows him." That holistic approach to player development proved successful with Chicharito, who remains a hugely popular figure at Chivas, and is warmly received whenever he drops by on visits back home. "He's a young man who's very close to his family, he's not big-headed; he's very down to earth," said Real Casillas. "He's very religious and has a deep faith in God. He’s also pícaro [mischievous] - but in a good way. I think in many ways there is a lot about Javier that makes him a role model for all Mexican footballers." Click here for a behind-the-scenes look at where Chicharito developed at Chivas. It is just as well that he did not, as Real Casillas' return to Chivas following a four-year absence coincided with Chicharito exploding into form in the 2009/10 campaign: "I came back and as head coach I was fortunate enough to have Javier in the first team. In my opinion and in terms of statistics that was the best season Chivas have had in recent years because we won eight consecutive matches, which is a record here in Mexico." Chicharito's contribution turned out to be a double-edged sword for Chivas, as it caught the attention of Manchester United FC, who signed him in July 2010. As head coach at the time of Chicharito’s departure, Real Casillas lost a key member of his side. "It was a big blow," he recalled. "Everyone was surprised and very happy for Javier, but we missed him a lot." For Chicharito, however, it was the start of a new chapter in Europe, and one that would eventually lead him to Leverkusen. Jose Luis Real Casillas was speaking to bundesliga.com's Jonathan Stockitt. Click here for part two of bundesliga.com's exclusive interview with Real Casillas. Click here for an exclusive interview with Chicharito.